Join us to celebrate the River Dart and its most spectacular new landmark – the twin turbines of the Totnes Weir hydropower scheme. 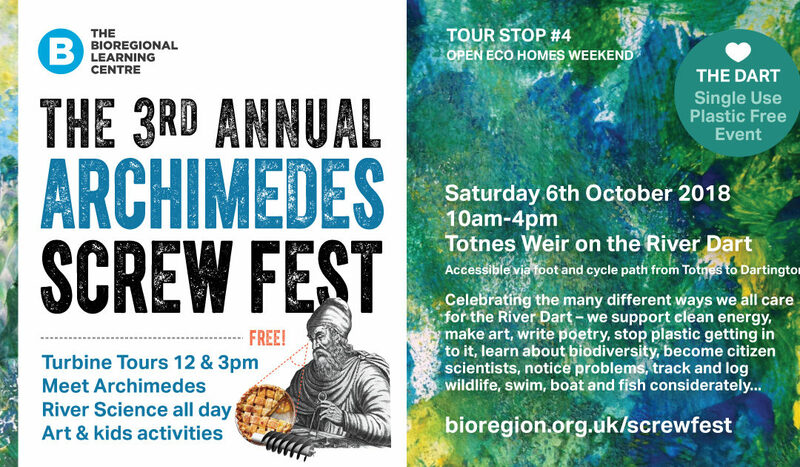 The Screw Fest is Tour Stop #4 on Transition Town Totnes’ Eco Homes Weekend trail. The site is accessible via foot- and cycle-path from Totnes to Dartington – it’s about half a mile upstream of Totnes town centre. It’s a lovely easy walk on flat ground. No parking nearby.